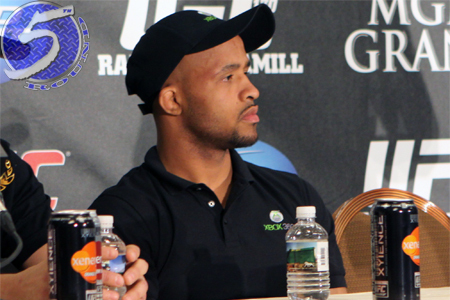 “UFC on FOX: Johnson vs. Dodson” took place Saturday inside United Center in Chicago, Illinois. Demetrious Johnson (Pictured) successfully defended his flyweight crown against John Dodson in the show’s featured attraction. According to UFC president Dana White, 16,091 fans packed the arena, garnering a live gate of $1.27 million. White said Benson Henderson vs. Gilbert Melendez is set, but Pettis is next. Lamas said he will be watching next week’s featherweight fight against champ Jose Aldo and Frankie Edgar in person. He wants next and White likes that he’s requesting it. Pettis wasn’t worried about ring rust. It only affects you if you think about it. White says Grant’s win breaks him into top 10. He’s got big fights coming.